Aristotelianism is a philosophical tradition that takes its defining inspiration from the work of Aristotle. Since Aristotle's death in 322 B.C.E., there has been an unbroken continuation of schools and individual philosophers who have cultivated the study of his works and adopted and expanded on his doctrines and methods. During the ninth, tenth, and eleventh centuries, an Arabic tradition of Aristotelianism was developed by Syrians, Persians, Turks, Jews, and Arabs, who wrote and taught in their own countries, in Africa, and in Spain. During the twelfth century, new Latin translations from Greek and from Arabic commentaries introduced Aristotle to the medieval Christian scholastics, and initiated an intellectual revival in Europe. Albertus Magnus and Thomas Aquinas developed a synthesis of Aristotelian ideas with Christian doctrines, which became essential to Roman Catholic theology. During the seventeenth century, modern philosophy began to develop largely as a reaction to, or in response to, traditional Aristotelian teachings. Contemporary philosophers, though they generally rejected Aristotelian metaphysics, incorporated Aristotelian concepts in their theories of ethics and politics. Aristotle's philosophy, as well as Plato's, has been a source of inspiration throughout the history of philosophy. Aristotelianism has made an indelible contribution to the language used to articulate philosophical concepts, experiences and problems. Some words are still in their original Greek forms, others are derived from Latin equivalents of Aristotle’s words. The use of the terms “subject” and “predicate” in grammar and logic; “form” (information, transform) and “matter” to express the correlative aspects of essential nature and physical being; “energy” as the active power inherent in a thing; “potential” for latent possibility; “substance” and “essence,” “quantity” and “quality,” “accidental,” “relation,” “cause” (and the many meanings of “because”), “genus” and “species” (general, special), “individual,” and “indivisible” (atomic) are only some of the words which have become established in common use. Philosophical features of Aristotelianism include a methodology which takes a critical approach to existing or hypothetical doctrines, and an emphasis on knowledge that can be acquired by natural means through the senses and the exercise of reason. Aristotelian metaphysics places the individual at the center of the realm of existence. In the philosophy of nature, Aristotelianism portrays a perfect and economic organization of the natural world, in which heavenly, geocentric spheres driven by intelligent movers carry the stars, the Sun, the planets, and the Moon, in circular movements, and influence the “sublunary” world. From its beginnings, Aristotelianism incorporated the concept of gravity, in which light bodies rise away from the center of the earth and heavy bodies move naturally toward it with a speed related to their weight. Aristotelian aesthetics hold that poetry and literature are an imitation of what is possible in real life; and that tragedy in drama and literature can achieve purification (katharsis) through artificially constructing a situation which evokes fear and pity. Aristotelian ethics emphasize intellectual activity as the primary path to happiness, followed by the practice of virtue. Virtue is characterized as moderation and conscious self-control. Aristotelian political theory considers the state as a self-sufficient society, necessary to provide the social structure and order in which men can achieve happiness. Aristotelian teleology incorporates Plato’s ideals as goals and “goods” internal to natural species, that are realized in activity. Sometimes contrasted by critics with the rationalism and idealism of Plato, Aristotelianism is understood by its proponents as a critical development of Plato’s theories. Since Aristotle's death in 322 B.C.E., there has been an unbroken continuation of schools and individual philosophers who have cultivated the study of his works and adopted and expanded on his doctrines and methods. 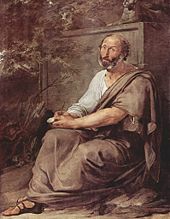 Aristotle’s ideas, originally developed in Greek, were taken up by Latin authors, then by Syriac, Arabic, and Hebrew authors, and beginning in the middle ages, by Italian, French, English, and German writers. The Greek Aristotelian tradition continued for two thousand years along the eastern Mediterranean Sea, diverging at various times between the fourth and fifth centuries to give rise to or reinforce their traditions. Latin Aristotelianism originated in Rome in the fourth century, and acquired new life from Greece early in the sixth century. It was revived in the ninth century and again in the twelfth. In the twelfth century, a new tradition of Aristotelianism emerged from Constantinople, and a third tradition from Arab translators and commentators in Spain. Both of these new traditions dispersed, through the schools of the Roman Catholic Church, to Italy, France, and the British Isles. In the fifteenth century, the Greek tradition once more came to Italy from Constantinople and influenced the Italian Renaissance. In Arabic philosophical circles, Aristotle was called Aristalus, Aristu, First Teacher, and referred to by sobriquets such as “the wise man.” Hellenistic texts were first introduced into Islamic thoughts during the time of Al-Kindi (c. 801-873 C.E. ), who commissioned Arabic translations of the works of the Greek philosophers. In the tenth century, Al-Farabi discovered a more accurate translation, and incorporated Aristotle’s thought so thoroughly into his own philosophy that he was called the “Second Teacher.” Ibn Bajjah (Avempace, c. 1095-1138/39) introduced the Islamic Aristotelian tradition into Spain, where it was further developed by his disciple, Ibn Tufail (c.1105-1185). His protégé, Averroes (1126–1198) wrote extensive commentaries on Aristotle, which had a profound impact on medieval scholasticism in Europe. The Persian philosopher Avicenna (980-1032 C.E.) synthesized the theories of Aristotle with the monotheistic tradition of Islam. His work, ’al Shifa (The Cure) was translated into Latin in twelfth century Spain, and his metaphysics considerably influenced Albertus Magnus and Thomas Aquinas. From the fall of Rome until 1450, Aristotle’s works, originally written in Greek, were unavailable to most educated Europeans. Boethius (480–525) produced some early translations into Latin but these were largely ignored, and only his translations of the Categories and De interpretatione were widely studied before the twelfth century. During the ninth and tenth centuries, an Arabic tradition of Aristotelianism was developed by Syrians, Persians, Turks, Jews, and Arabs, who wrote and taught in their own countries, in Africa, and in Spain until the twelfth century. Much of the Arabic and Hebrew works passed into the Latin tradition between 1130 and 1550. During the twelfth century, new Latin translations from Greek and from the Arabic commentaries of Avicenna and Averroes, and the Hebrew works of Maimonides (1125–1204), introduced Aristotle to the medieval Christian scholastics, and initiated an intellectual revival. During the thirteenth century, the Roman Catholic Church began to react to the challenges posed by new developments in philosophy. The teaching of Aristotelian books was condemned at Paris in 1210, 1215, and 1231; and lists of propositions inspired by certain interpretations of Aristotle were condemned at Paris and Oxford in 1270 and 1277. Some Christian theologians attempted to appropriate the teachings of Aristotle and interpret them in a way that was compatible with Christian doctrines. Albertus Magnus paraphrased the entire works of Aristotle, and Thomas Aquinas produced a synthesis of Aristotelianism and Christian doctrines that became essential to Roman Catholic theology. Since the 1870s, the Roman Catholic Church has reasserted a Thomistic Aristotelianism. During the fourteenth century, John Duns Scotus and William of Ockham responded by elaborating philosophical and theological teachings which were radically opposed to Aristotelianism. Soon after the beginning of Latin Aristotelianism in Europe during the twelfth century, Aristotelian teachings were introduced into the Greek schools of Athens and Alexandria by certain Armenians and Syrians. The Armenian tradition was still alive in the nineteenth century in such places as Madras and Venice; and the Syrian tradition, which never completely disappeared, was still active in the fourteenth century. During the Renaissance (c. 1348-c. 1648), a great quantity of Aristotelian commentaries were produced. Many of the Renaissance universities used Aristotelian texts in the training of philosophers, and the corpus aristotelicum was used as a framework for textbooks and encyclopedias, and as a point of departure for many philosophical treatises. The growing number of universities increased the numbers of teachers expounding the works of Aristotle and the numbers of students learning from them. The advent of printing heightened the impact of Aristotelianism by making Aristotelian works, and commentaries on them, much more widely available. A change in the role of philosophy in university education, and new advances in scholarship, created a need for new commentaries. Exposure to newly-discovered classical texts from outside the Aristotelian tradition provoked philosophical re-examination and criticism. Aristotle’s emphasis on naturally acquired knowledge and on the use of reason to examine and explain phenomena contributed to the growth of the natural sciences. His own observations of the natural world and his classification of beings into categories influenced scientific study. The primacy of the individual in Aristotelian thought contributed to a new appreciation of the value of the individual and of the natural beauty of human beings. The Aristotelian view of a logical and beautifully organized world governed by higher intelligences according to inherent logical principles had a transforming effect on the Christian worldview. During the seventeenth century, Aristotelian philosophy took on a new role as the background against which new ideas and systems were developed. Scholastic Aristotelianism was considered to be outmoded and conservative, and most of the works written were traditional textbooks. Philosophers such as Descartes and Galileo developed their views in reaction to Aristotelianism as it had been taught for the previous four centuries. However, many seventeenth century Aristotelian philosophers incorporated contemporary scientific developments in their thought, and the views of commentators such as Eustachios a Sancto Paulo, Franciscus Toletus, Charles d’Abra de Raconis, Scipion Dupleis, and the scholars of the Portuguese Comibra school formed a background for the development of modern philosophy. After retreating under criticism from modern natural philosophers, the idea of teleology was transmitted through Christian Wolff and Kant to Hegel, who applied it to history as a totality. Although this project was criticized by Trendelenburg and Franz Brentano as un-Aristotelian, Hegel is now often said to be responsible for an important Aristotelian influence upon Marx. Postmodernists, in search of new ways of perceiving truth and understanding reality, reject the claim that Aristotelianism reveals important theoretical truths. They follow Heidegger’s critique of Aristotle as the greatest source of the entire tradition of Western philosophy. Recent Aristotelian ethical and "practical" philosophy, such as that of Hans-Georg Gadamer, is often premised upon a rejection of Aristotelianism’s traditional metaphysical or theoretical philosophy, while accepting its theory in other areas. The early modern tradition of political republicanism, which views the public sphere or State as constituted by its citizens’ virtuous activity, appears to be thoroughly Aristotelian. The most famous contemporary Aristotelian philosopher is Alasdair MacIntyre. Especially famous for helping to revive virtue ethics in his book, After Virtue, MacIntyre revises Aristotelianism with the argument that the highest temporal goods, which are internal to human beings, are actualized through participation in social practices. He places the Aristotelian concept of essentially human goods and virtues in opposition to the managerial institutions of capitalism and its state, and to rival traditions, including the philosophies of Hume and Nietzsche. MacIntyre claims that Aristotelianism is not identical with Western philosophy as a whole; rather, it is "the best theory so far." ↑ Hans-Georg Gadamer, The Idea of the Good in Platonic-Aristotelian Philosophy (Yale University Press, 1986). ↑ George E. McCarthy, ed, Marx and Aristotle: Nineteenth-Century German Social Theory and Classical Antiquity (Rowman & Littlefield, 1992). ↑ Ted Sadler, Heidegger and Aristotle: The Question of Being (Athlone, 1996). MacIntyre, Alasdair. Whose Justice? Which Rationality? University of Notre Dame Press, 1988. MacIntyre, Alasdair. "The Theses on Feuerbach: A Road Not Taken," in Kelvin Knight (ed. ), The MacIntyre Reader. University of Notre Dame Press, 1998. MacIntyre, Alasdair. Dependent Rational Animals: Why Human Beings Need the Virtues. Open Court, 1999. Riedel, Manfred, ed. Rehabilitierung der praktischen Philosophie. Rombach, 1972. Ritter, Joachim. Metaphysik und Politik: Studien zu Aristoteles und Hegel. Suhrkamp, 1977. Stocks, John Leofric. Aristotelianism. Harrap, 1925. Veatch, Henry B. Rational Man: A Modern Interpretation of Aristotelian Ethics. Indiana University Press, 1962. Aristotelianism in the Renaissance, Stanford Encyclopedia of Philosophy. MEDIEVAL ARISTOTELIANISM AND THE CASE AGAINST SECONDARY CAUSATION IN NATURE, Alfred J. Freddoso, University of Notre Dame. This page was last modified on 13 April 2016, at 14:44.